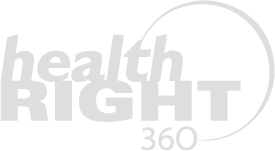 HealthRIGHT 360 gives hope, builds health, and changes lives for people in need. We do this by providing compassionate, integrated care that includes primary medical, mental health, substance use disorder treatment and re-entry services. To address the thousands of adolescents and young adults that were streaming into San Francisco for the cultural revolution of the 1960’s, Haight Ashbury Free Clinics (HAFC) opened its doors in 1967 as the first free medical clinic in the country. During the first week of operation over 400 patients were seen. HAFC has been an innovator in delivering primary health care services to many of the people who can least afford them. “Health Care is a Right, Not a Privilege” has been the guiding principle as well as its famous tagline. Walden House was founded in 1969 in the same Haight-Ashbury district of San Francisco to help homeless and runaway adolescents with substance use disorder problems. Today, Walden House treats people with mental health and substance use disorder problems at various residential and outpatient centers throughout California, including in-prison treatment programs, and facilities in San Francisco and Los Angeles, providing drug and alcohol treatment and mental health, vocational and housing services for people transitioning back into their communities. Like HAFC, Walden House has always served people who are uninsured, homeless and socio-economically disenfranchised, including those with HIV/AIDS. Haight Ashbury Free Clinics and Walden House have both grown over the years, becoming national models for community healthcare, substance use disorder treatment and mental health services. The organizations merged on July 1, 2011 to best serve the most vulnerable members of our community. On July 1, 2012, Haight Ashbury Free Clinics – Walden House adopted a new name: HealthRIGHT 360. Asian American Recovery Services (AARS) joined the family of HealthRIGHT 360 programs in 2013. Founded in 1985, AARS has grown to serve thousands of people throughout San Francisco, San Mateo, and Santa Clara counties. In 2014, North County Serenity House of San Diego county and Women’s Recovery Association (WRA) of San Mateo joined HealthRIGHT 360, continuing its leadership as a provider of gender responsive services for women and women with children. In 2015 Lyon-Martin Health Services became the third primary care clinic operated by HealthRIGHT 360, continuing its specialized care for women and transgender individuals. Tenderloin Health Services (formerly Glide Health Services clinic) became the fourth primary care clinic in 2015, providing care in San Francisco’s Tenderloin neighborhood. Prototypes joined in 2016 expanding behavioral health care for women and children and services to survivors of domestic violence in Los Angeles, Orange and Ventura Counties. Strengthening services for women and girls in San Francisco, Women’s Community Clinic joined our family of programs in 2017. Women’s Community Clinic traces its roots to the Women’s Need Center, a program of Haight Ashbury Free Clinics that closed in 1999 and reopened four months later with its new name. Click to view and download our 2016 Annual Report.